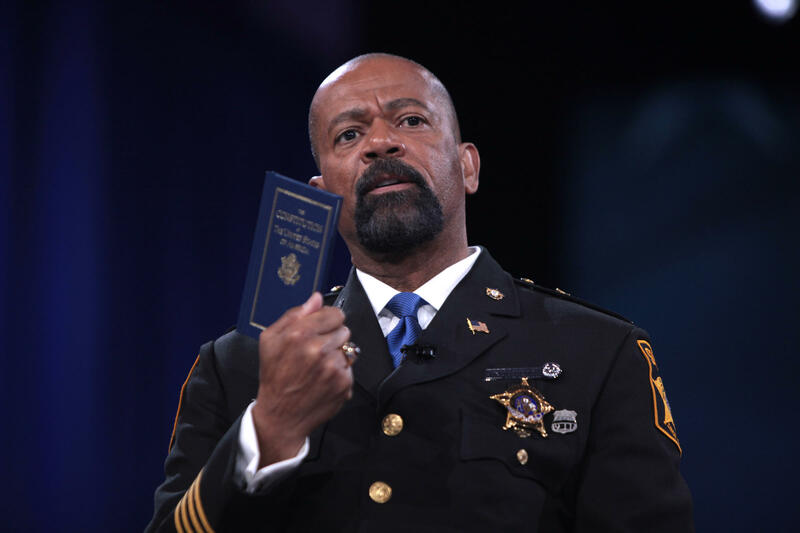 Sheriff David Clarke speaking at the 2016 Conservative Political Action Conference (CPAC) in National Harbor, Maryland. UPDATE: Milwaukee County Sheriff David Clarke will appeal the case to the Wisconsin Supreme Court, and in the meantime, appeals court says he does not have to release un-redacted ICE documents regarding certain inmates held in county detention facilities. The immigrant rights group Voces de la Frontera prevailed against Clarke earlier this week in Wisconsin appeals court. It ordered him to turn over to the group full copies of I-294 forms, instead of redacted copies. The issue went to court last year, after Voces asked the Sheriff to turn over copies of I-294 forms he had gotten from U.S. Immigration and Customers Enforcement since Nov. 2014. Those forms let state and local jails to hold individuals for 48-hours longer than the criminal justice system allows. Clarke eventually provided redacted copies to Voces but blocked out such information as immigration status. His office argued that Wisconsin's open records law allows him to determine whether to release certain information, and in this case, he claimed the full release could have harmed the individuals involved. On Tuesday, state appeals court sided with Voces and a lower court. It ruled that Wisconsin state law favors disclosure, including so the public can know whether the Sheriff has violated federal law. The appeals court stated that Clarke would have to have demonstrated that a release of full information would put the general public at risk. Voces released a statement afterward reading, in part, "It is a clear victory for Wisconsin's immigrant community." 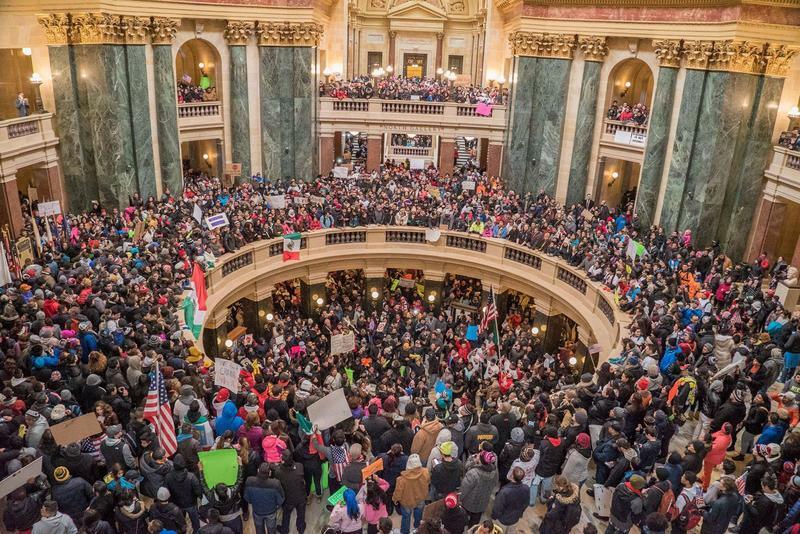 Thousands of people from across Wisconsin marched at the State Capitol in Madison on Thursday, against legislation they say is anti-immigrant. Many people took the day off work for the "Day Without Latinos" demonstration. They chanted and carried signs that read "All We Want is Equity" and "Stop the Deportations." On Wednesday, immigrant advocates carpooled to the state Capitol to voice opposition to several bills, including one that would penalize so-called sanctuary cities. WUWM's LaToya Dennis met up with a group of about 20 immigrant advocates before they boarded a bus in Milwaukee to protest what they’re calling anti-immigrant legislation. “We are all immigrants. We are not criminals like some people say," Guadalupe Gallardo says. She is originally from Mexico but has lived in the U.S. for more than 40 years. Gallardo says she got her citizenship in the late 1990s. 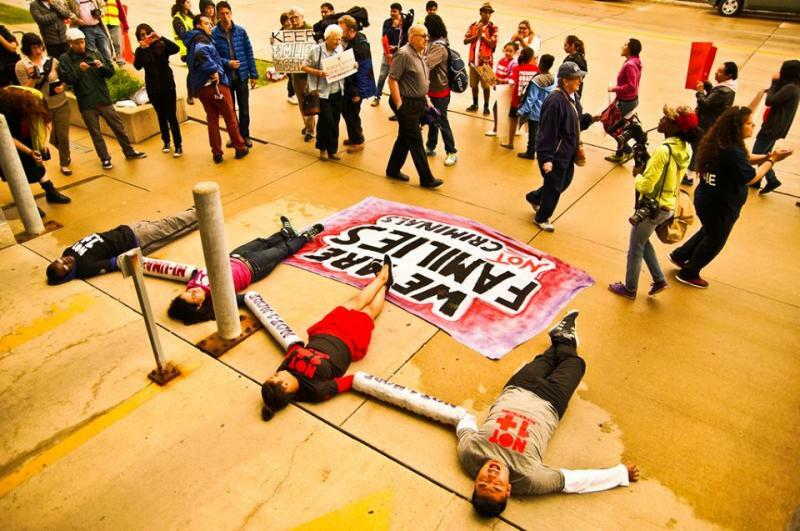 Dozens of Latinos staged a protest last week on Milwaukee’s east side.